As you may know, Mondays are typically meatless around here. This week, not so much. 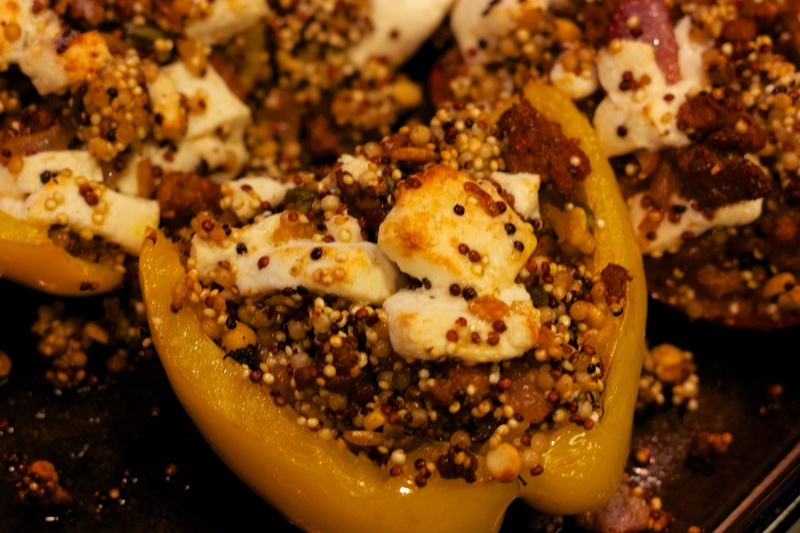 I had a couple of bell peppers in the fridge, which were going on one week old. I had actually planned to make this last week, but a late chiropractor appointment pushed it out of the picture. Unfortunately, I had already begun defrosting the fresh Mexican chorizo that had achieved a comfortable cryostasis in my freezer. My roundabout tale brings me to tonight, where I had to either cook these ingredients or toss them. And I can’t bring myself to letting chorizo go bad. Not chorizo. Never the chorizo. 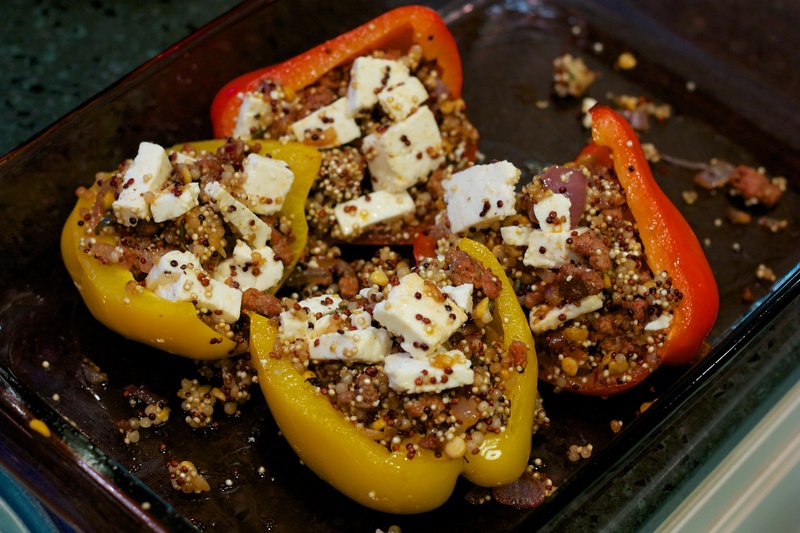 The recipe goes together not unlike an Italian stuffed pepper recipe without sauce. Brown the meat, mix in the already softened aromatics, stuff the peppers and roast. The result was good, but missing something. The Italian in me says tomato. But don’t get me wrong…I liked this recipe a lot. 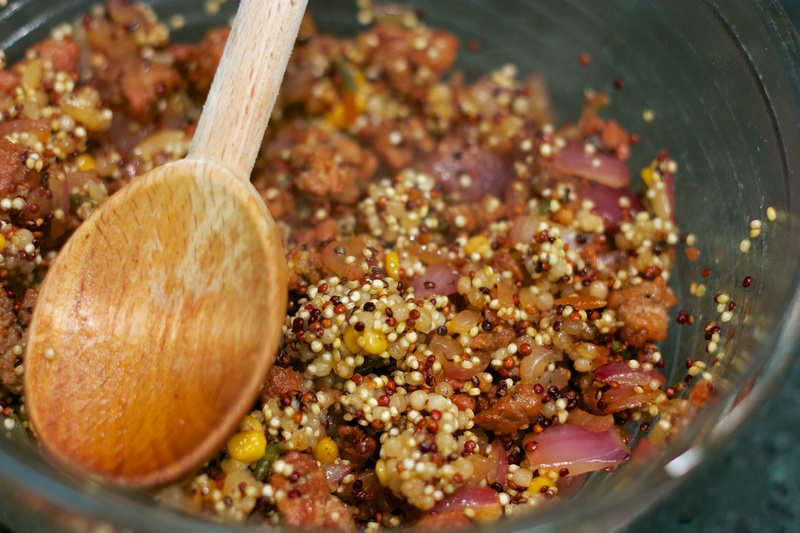 WHAT WORKED: Chorizo and quinoa. It makes for a good, high protein blend that plays well together. WHAT DIDN’T: Binding. I liked it, but there wasn’t anything to bind the ingredients together. 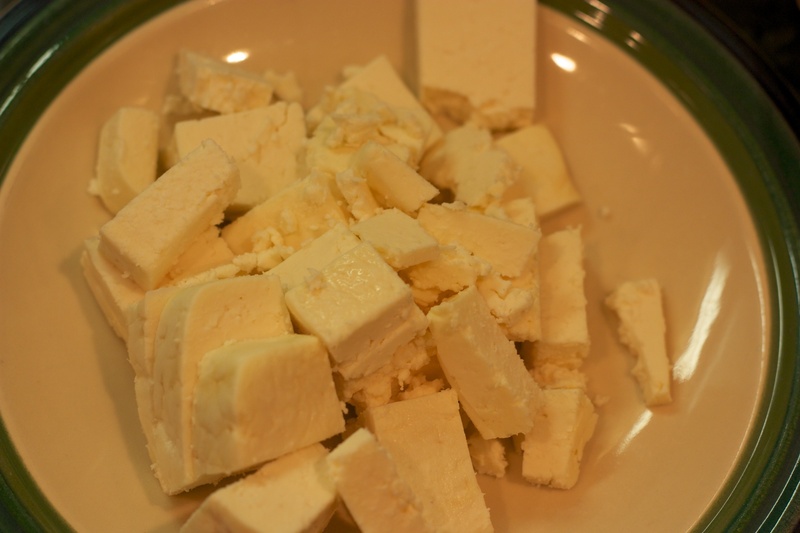 I used queso fresco, which was in my refrigerator, as the cheese. I don’t think goat cheese would have done the trick either. Maybe domestic Manchego, which melts more like Monterrey Jack, next time. I might also go with a tomato-based sofrito to assist. WILL IT MAKE ANOTHER APPEARANCE: Yes, but with the changes I mentioned. Cut the tops from the peppers and clean out the webbing and seeds. Rinse and set upside down on paper towels or in your drainboard to dry. Heat a frying pan over medium heat and add the olive oil to warm it. Add the onion and garlic. Saute until the onion is translucent and soft. Transfer to a bowl and set aside. 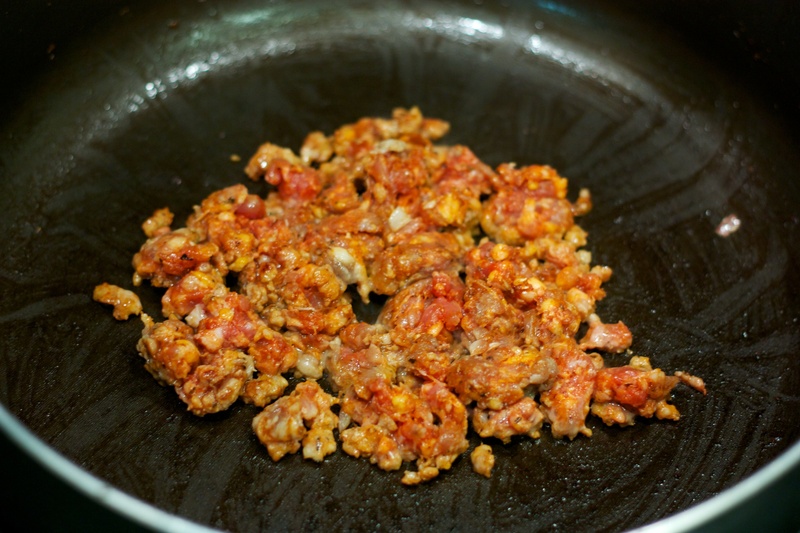 Cook the sausage in the same fry pan over medium heat, using a spatula to chop it up as it cooks. Cook until browned, then return the onion, garlic and quinoa to the pan. Stir over heat to mix thoroughly then transfer to a mixing bowl. Let stand for a few minutes to cool, then mix in the cheese. Working in a baking dish or lined baking sheet. Scoop the stuffing into the peppers (I halved each pepper so the stuffing was fully exposed, but probably wouldn’t do that in the future.) so they are teeming but not overflowing. Roast for 15 to 18 minutes. Serve hot with sour cream on the side.